A bride’s lehenga is probably one of the hottest topics of discussion at any wedding. That’s why it’s important to choose your bridal lehenga with utmost care. From the way it fits to the colour and the embroidery, your lehenga should ensure all eyes are riveted to you. After all, it is your big day. Take a look at some awesome tips to pick your bridal lehenga according to your body type and skin tone. When choosing your bridal lehenga, you must keep the three most important details in mind. Try on lehengas in various shapes like A-line, princess, sheath and empire waist, to see which flatters your body type the most. Always make sure that you can walk, turn, sit and bend comfortably, as well as lift your arms to hug your loved ones. Comfort and confidence are crucial on your wedding day! If you are short or petite, an A-line silhouette will suit you best. 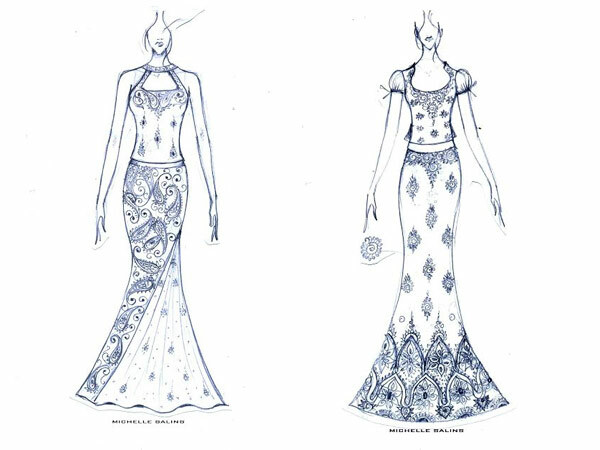 If you prefer a fitted lehenga, choose a mermaid skirt but make sure it suits your body. It must kick out at the bottom. For the pear-shaped or hourglass-shaped bride, you need to balance the top half of your body with the bottom. Do not use straight or bias-cut designs; your hips will be greatly accentuated. The perfect bridallehenga will disguise and draw attention away from your least favourite parts and highlight the best. The neckline for your outfit will draw the most attention. Depending on how broad or narrow your shoulders are; your face, neck and bust line can be accentuated or downplayed by the shape of your neckline. Also, keep in mind the shape or style of jewellery that you will wear. If you have already bought the jewellery, show it to your designer, so that she can design the neckline accordingly. If you have a big bust line, opt for a nice ‘V’ neck that distracts from it. For a smaller bust line, a wide neck with an empire waistline would be great. Choose a colour for your lehenga that best compliments your skin tone and the wedding décor and arrangements. If you have a fuller body, do not use very bold colours. While choosing fabrics for the outfit make sure you use the season’s appropriate fabric. Also make sure that you choose the fabric appropriate to the design and discuss all this in detail with your designer or an older person at home. Remember the wrong choice of fabric will ruin your look for the day and the silhouette. 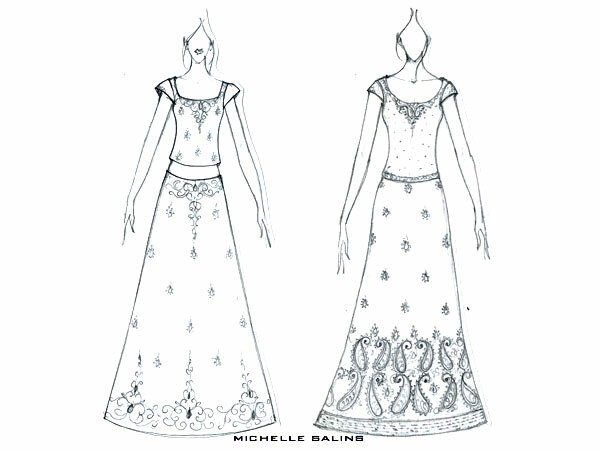 About Michelle Salins: Born in India and having lived a small part of her life in New York, designer Michelle Salins has launched her eponymous label MICHELLE SALINS in the United States. The collection’s international appeal captivates the eye with Salins’ use of rich colours and luxe fabrics. Encouraged by her father’s zest for life, designer, Michelle Salins, founded her namesake line in 2009 after a career spanning over a decade as a successful interior designer and decorator.